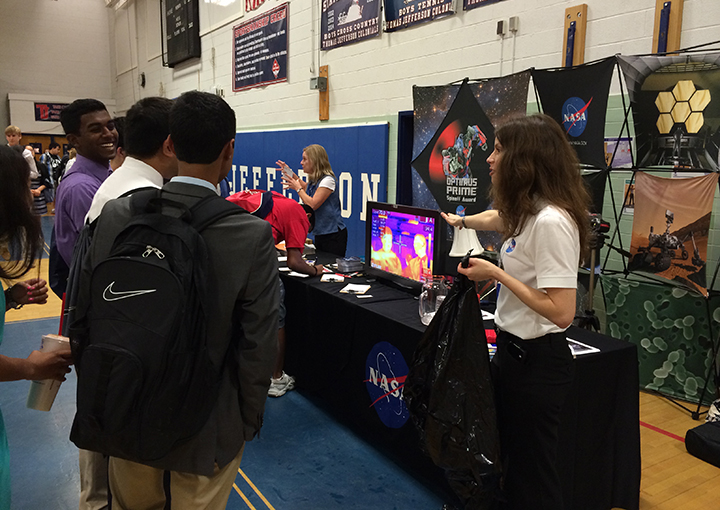 On May 28, the Innovative Technology Partnerships Office (ITPO) participated in Thomas Jefferson High School’s Symposium to Advance Research (tjSTAR) in Alexandria, VA. Senior Technology Manager Darryl Mitchell presented to a group of students about Technology Transfer and the upcoming launch of the Goddard OPTIMUS PRIME Spinoff Challenge. The ITPO’s interactive booth featured a thermographic camera where students took part in various demonstrations. 800+ students stopped by the booth to learn more about Tech Transfer & spinoffs. Approximately 150 students signed up for the Goddard OPTIMUS PRIME Spinoff Challenge.